As the trend changes, the design patterns also change. Full-screen search overlay is one of them. 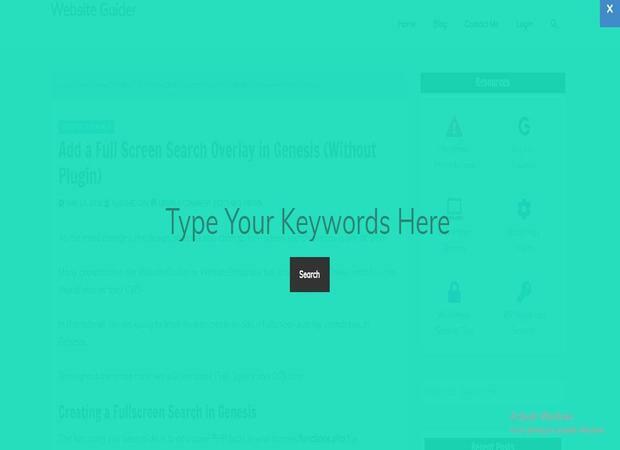 Many popular sites like WebsiteGuider or WebsiteSetup use full-screen search. These websites use WordPress as their CMS. In this tutorial, we are going to learn how to create or add a fullscreen overlay search box in Genesis. Throughout the entire code, we will use some PHP, Jquery and CSS code. The first thing you need to do is to add some PHP code in your themes functions.php file. After placing the above code in the functions file, we need to add some CSS to the stylesheet. The CSS is below. After all this, you need to add Jquery code. First, navigate to wp-content>>themes>>your-theme. In the themes file, you should see a js folder. If not then you need to create the js folder. After that create a file named as a search.js and add following code to it. 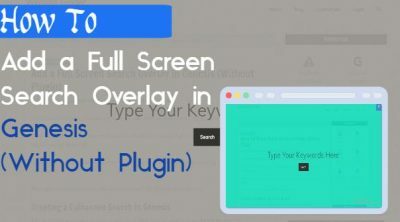 Hope this code helps you in creating the fullscreen search box. Feel free to give suggestions to make this code better.